Even though I understand that calendars, the counting of years and other such measures of time passing are somewhat arbitrary... when I ponder board games and how deeply I have been involved with them during my own years, I'm astounded at thier impact on my life. This year will mark the 44th since I saved up a whole $5 and begged my mother to take me to a store in downtown Dallas. The store specialized in magic tricks, hobby supplies and a few boardgames. I bought my copy of Milton-Bradley's Dogfight and then spent the entire rest of the day waiting in her beat up old Volvo sedan until she got off from work. The fact that I've been playing board games... or what those of us who are passionate about board games call "real" board games... for longer than most fans have been alive doesn't make me in any sense a better gamer than say Ro-Bee, who will turn 21 this year. Or Jumbo, my main opponent, who will turn 24. Or, for that matter, any of you who probably range in age from the mid-twenties to my age... or nearly so. But, having been a gamer for the better part of five decades does give me one thing that not everyone has just yet. What got me thinking about perspective are my daily visits to sites like BGN, various blogs that many who read this write, publisher web sites and, of course, the venerable BGG. The current I sense when I read the excited gamer's praises of newer, better, flashier games... as well as the unspoken, but blatent disregard for the goodness of what passes for "old" in our niche, is that board gamers have become somewhat driven more to consume than to delve. By that I mean there is an undercurrent that smells like consumerism as opposed to what I have to call joy. I may not be describing you, but I'd bet if you think about it, you'll see it as well. In December I purchased two new CDG titles. CDG means card driven game, for those who may not know the acronyms of this subculture. BattleLore and Combat Commander: Europe were the two titles I bought. Both are highly rated, beautiful, well designed, professionally produced and they are truly wonderful, wonderful board games. Chad Jensen and Richard Borg, the designers, have the touch. As well as a healthy dose of the perspective I mentioned earlier. Borg is probably my age or perhaps older, so I'm pretty certain he has even more of a seasoned viewpoint than Jensen, who is a damned good designer no matter what his age is. But anyway, back to CDGs and, of course, Dogfight. Oh yeah, and how perspective fits in. You see, Dogfight is a CDG. And it's old, old, old. I'd go so far as to say that Dogfight is still, after 44 years, a damned good CDG. I'd play it. And I'd enjoy it. Not just because I like old things either, but because it's a solid game design. So solid that it's either at or at least close to, the inception point of a design mechanism that has since been developed into one of the major mechanics in a suprising percentage of recent best-selling and/or highly rated board games. Early CDG design. Each squadron has a set of cards that allow specific actions. Not so different really from modern CDG mechanics. Looking closer at Borg's Commands & Colors system there is another striking similarity to Dogfight and it's sister game: Broadside. In Dogfight when you score a hit on an enemy airplane you remove a part: a wing or propellor. When there is nothing but the fuselage left, the craft is killed and you get an Ace token. In Broadside it's the same mechanism, only sails are removed from ships that suffer hits. Now look at the C&C system. When you score a hit, one of the "parts" of the entire unit is removed from play. Like Dogfight, this doesn't affect the unit's combat capability. When there are no more parts of the unit left you are awarded a victory token. Not so different from the modern Commands & Colors system. 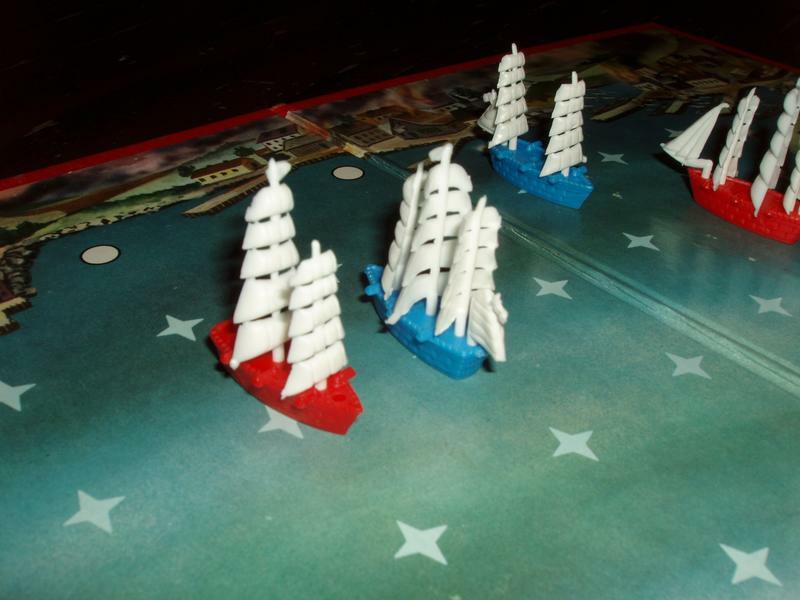 In Broadside a sail is removed for each hit on a target ship. When they're gone, so's the vessel. Ships with fewer sails are faster and agile, but more vulnerable. Sound familiar? Both Dogfight and BattleLore are essentially the same thing, only the latter is evolved and the former is seminal. Newer, in game terms, isn't always better. Usually newer means it has more aspects to it's play, it's more attractive, it's often smoother playing and it has the attention and love of modern board game fans. 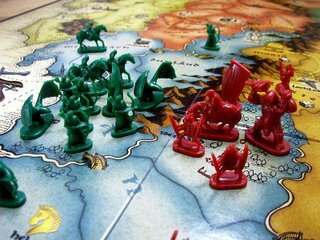 I could write all day comparing modern board games to older titles ranging from Kings & Things to HeroQuest to Settlers of Catan and on and on... but you get the point I'm sure. Older games, those that in most cases are the foundation of what are considered fantastic games in this century, just don't get the love or respect they deserve. 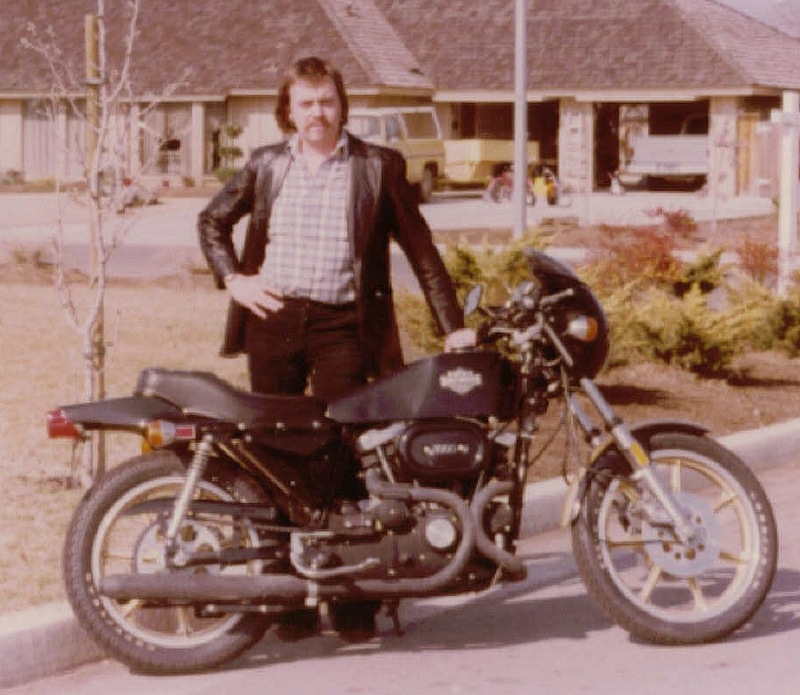 30 years ago I bought a Harley-Davidson from a dealer in El Paso, Texas. He had about 15 of this odd-looking model and couldn't sell a one of them. I rented a trailer and hauled it back home with me. After riding it for a year or two, a fireman I was acquainted with offered me $1500 more for the bike than I paid for it new. My frame of mind back then (in my late 20's) was that Ducati, Moto-Guzzi, BMW and several of the Japanese manufacturers were making far superior big twins to what Harley was doing. So, I took my profit and the fireman rode away. The CR1000, a radical design for the struggling Harley-Davidson company. Perhaps 4,000 to 5,000 total units made? It's easy to see that this design germinated a lot of the current crop of what are considered state-of-the-art motorcycles. It's also easy to see that I was very much a 70's kind of guy. With that snazzy haircut, tight pants and smokin' leather jacket, John Travolta had nothin' on me... dude. To make a long story short, two of the Ducati's, two Moto-Guzzi's, a Yamaha and a BMW, all of which followed that particular Harley in my stable of motorcycles, are now, in today's market, worth squat... perhaps $1200 to maybe $2500 each. Perhaps. That particular Harley though, that I had paid under $2500 for, can't be touched in good condition today for under $12,000-15,000. Why is that? I think it's because of people like me... people who have the desire to attempt an understanding of where certain designs originated and have a particular affinity for the whole process. 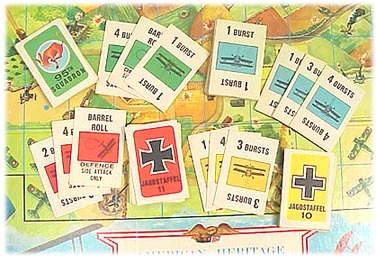 While it's true that I'd almost always rather play BattleLore or Memoir '44 than Dogfight, it's not true that Dogfight is less of a game. That'd be like saying George Washington was less of a man than Jack Kennedy because, while both were historical giants, Washington was a cruder, less developed version of a later, more modern man. And while I'd usually rather ride my current Harley than the old one I mentioned... because it's a more evolved motorcycle in the modern sense, I'd dearly love to have the old one back and I'd get real joy in riding it if I could. So I'm back to the concept of joy. That's what hobbies and toys are really all about, at least to me. A board game is good if I feel satisfied, have a sense of elation, or if it somehow engenders a feeling of happiness in me, both during play and through the post mortum of the game session. Saturday night several of us played two older games, older at least in their earlier, cruder forms. 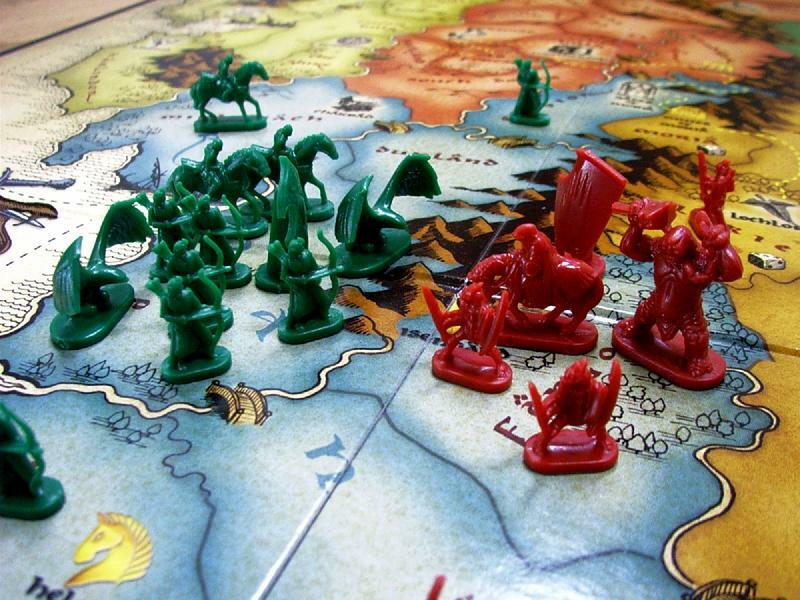 I hauled out my copy of Lord of the Rings: Risk and we all experienced joy. It was surreal... gamers who have so many modern, and arguably, better designed games, just sitting there rolling dice, moving plastic orcs and dwarves around, turning in card sets and laughing our asses of at the sucky die rolls, the see-saw fortunes and the crappy luck. Risk. The game everyone loves to hate but that is the seed of so many popular modern games that the same crowd pays high dollars for and blathers endlessly on the Net about how innovative and unique they are. An excellent Risk variant. Yes, it takes 2-3 hours to play. Yes, there are dice. And yes, it is fun to play... so long as you don't have a bunch of whiny little pukes playing who don't know thier arse from their elbow and think so highly of themselves that even the sound of their annoying voices puts you into a bad, bad frame of mind. We all wanted to play another game after LOTR: Risk and I remembered how disparaging one of my friendly counterparts down in Texas (you know who you are) is about one game in particular... so, I hauled out Wizards, did the mandatory 70 seconds of explaining the rules and guess what? Joy ensued. From a crappy old title that is nothing more than a variation of Oh Hell!, a game I played thousands of hands of during the dark years I spent as an illegal alien in England. Perspective. I like that concept. Especially when it comes to things that aren't life and death pursuits. For me that would be games and motorcycles. For you it might be games and snowboarding, or golf, or dancing the polka. Whether you think I'm crazy for enjoying a Risk variant or comparing a low-rated oldie to a BGG Top 10 new game matters little. Especially if you don't yet have perspective. Perspective is not something that is automatic with aging... because lots of people never get it, and I will attest right now that Jumbo and a few other youngish gamers I know already have healthy doses of it. In the long run though, I think new is not always better. It's often just extra parts and prettier components along with a few superfluous mechanics attached to a really great, but old, design. And sometimes, if you've never played a formative design of a game genre you love, you'll get instant perspective by doing just that. A gamer doesn't have to have bought their first CDG 44 years ago to get a long view on that genre any more than a guy who buys a 2007 Harley needs to have owned an old one to properly appreciate his purchase. But having a more historical view on a passion, whether because you're long in the tooth or just an adventurous sort, does have the very real bonus of delivering unexpected quantities of joy into your life. Speaking of joy... have a joyous New Year... hopefully you'll get some frickin' perspective and snap up a bunch of older games on eBay while they're still cheap. I sometimes confuse perspective with nostalgia. I suppose being nostalgic gives you a sense of perspective. But, one can be nostalgic about something as recent as 10 or 5 years ago, while perspective seems to need a bit more aging to live up to its name. You and I are of a similar age and from a similar geographic part of the world, so much of our perspective is similar, although our lives have taken very different paths. Still, here we are, playing and writing about board games, and applying our perspective views on them, sometimes with very similar results. Nice article, DW. It struck a chord with me. I put games in perspective with memories of such ilk as: Tactics II, Wooden Ships & Iron Men, Diplomacy, Ricthofen's War, Facts in Five, Outdoor Survival, Afrika Korps, and other Avalon Hill icons. I also recall the AH magazine The General and the SPI magazine that had a game in almost every issue, including BSM Pandora, which I still own. So, are these really perspective views of mine, or just fond memories? I think that having played those old games, when they were new, does give us perspective regarding current ones. I agree with you that some of those oldies are irreplaceable, but I also agree that many of the current crop are outstanding. So, I wonder what we'll be remembering about these new games we're playing when the lastest board games of 2027 come out? Will those games be "better" than today's popular games, better than the old AH standards? Will we be around to play them? Age does give you a different perspective, doesn't it? Excellent article, DW. My husband knew about and had played Dogfight when he was young, and I still love Wizard and think it's a very good trick-taking game--though I usually lose. Have a great year, DW. I'm glad I had the chance to grab a copy of Merchant of Venus before it tripled in price in the last few years.